Economy and value meet upscale features and sleek styling in the 2019 Hyundai Elantra sedan. The 2019 Hyundai Elantra GT offers the room and economy of the Elantra sedan, but with a decidedly sportier, youthful edge. The new Elantra GT N Line gives driving enthusiasts another reason to give Hyundai a look. 2017 Hyundai Elantra vs. 2017 Toyota Corolla: Which Is Better? 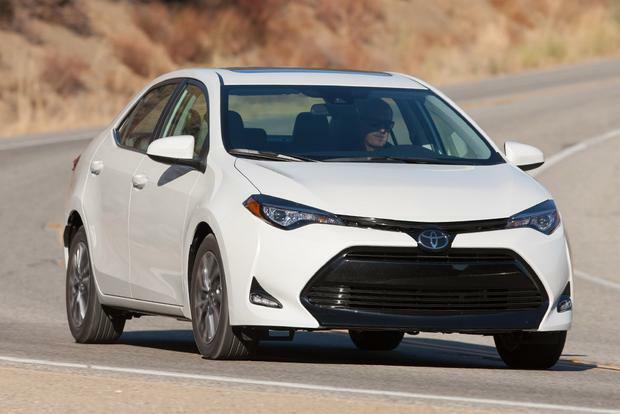 We're comparing two popular compact cars, the 2017 Hyundai Elantra and the 2017 Toyota Corolla, to find out which is better. Bringing unexpected flair and unquestioned value to the compact sedan segment, the 2011 Hyundai Elantra warrants purchase consideration. 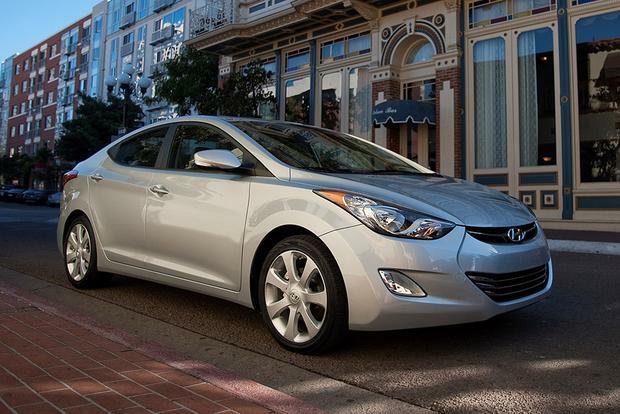 Updated with a new Eco mode and improved steering, the 2012 Hyundai Elantra impresses with style, good feature content and fuel economy. Hyundai is issuing two recalls of Elantra models for problems related to sensors for air bag deployment in the vehicles' front seats. The first recall, for 188,697 2007-2009 Elantras, is for a front passenger airbag that could deploy in crashes when it shouldn't, according to the National Highway Traffic Safety Administration (NHTSA). The NHTSA stated that, (in the case of recall number one) if liquid is spilled in the center console cup holder, it could seep through the cup holder and contaminate the weight classification system connector. A contaminated connector could cause the front passenger airbag to deploy regardless of the occupant's weight, and may increase the risk of injury. Hyundai is also recalling 95,783 Elantra units – many also covered by the first recall – from model years 2007 through 2008. The second recall is to reprogram the air bag control module for the driver's side frontal air bag. As the NHTSA explained, "The driver's seat track position sensor determines the seat's fore and aft position and allows the driver's frontal air bag to deploy at the pressure appropriate for that seating position, with a lower pressure deployment in the most forward seating positions." If an air bag module receives an unstable electric signal from the seat track position sensor, the driver's air bag could deploy at a higher pressure than intended, thus creating a greater chance of injury to the occupant. 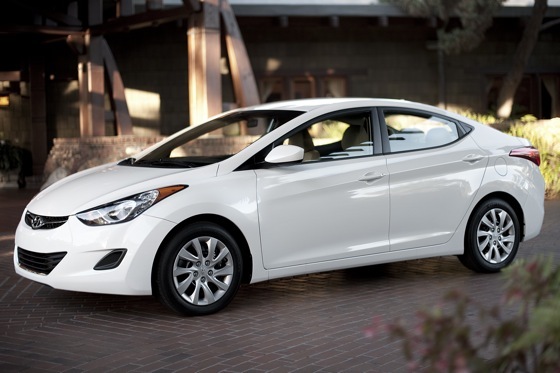 Elantra recalls aren't new to Hyundai. In October of 2008, the company issued two separate airbag recalls. The first affected 2001 models; the second was for both 2001 and 2002 models. 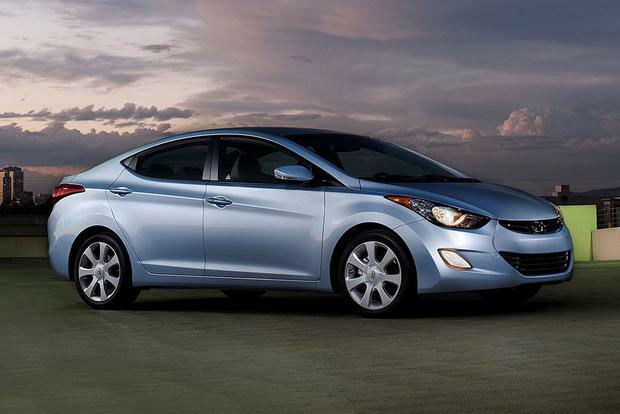 About 150,000 2001 Elantras were recalled to fix a problem with the front airbag sensor in the first recall. The company said that if liquid was spilled in the cup holder on the central console, it could drip onto the airbag control module. As a result, the airbags might not deploy during an accident. In the second 2008 incident, 2001-2002 Elantras were recalled due to a potential problem with the side impact airbag wiring harness mounted under each front seat. Apparently, material placed under the front seats could cause the wiring harness to malfunction, which could prevent the airbags from deploying in a crash. As noted at the time, the first 2008 recall could be corrected by a dealer- installed protective cover, while the second recall was a matter of installing new harness attachments and connector clips. This time around the fix for the first recall is the same – dealers will install a protective cover to prevent contamination of the seat sensor. For the second recall, the airbag module needs to be reprogrammed. Affected Elantra owners should expect to start receiving recall notices next month.